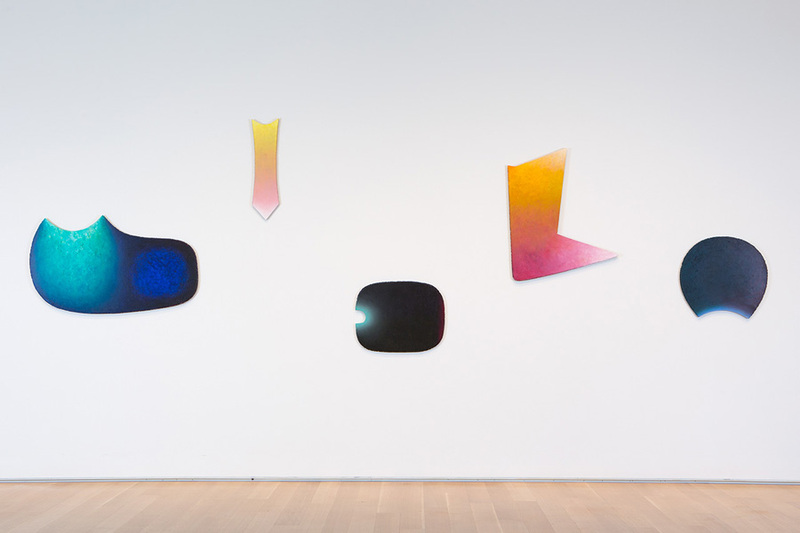 For over 50 years, Raimer Jochims has remained committed to painting contemplative, process-based abstractions. His mature work evolved out of his participation in monochromatic and optical painting movements in the 1960s and ’70s. 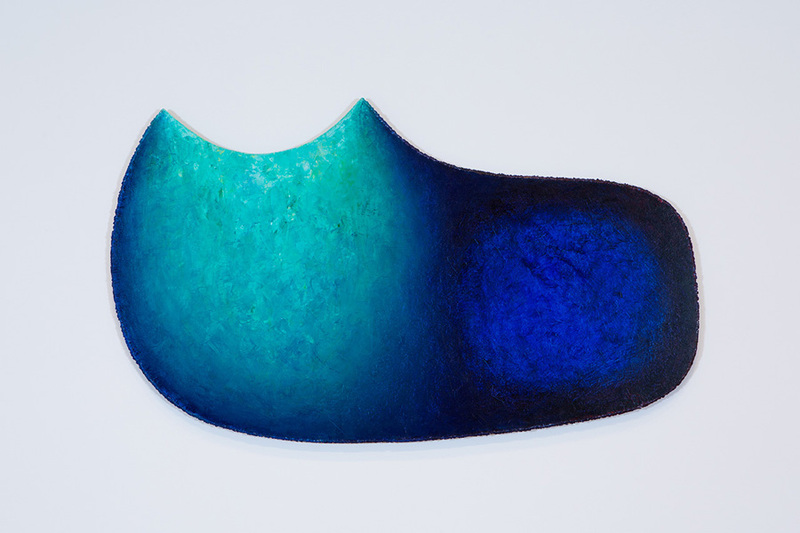 Started in 1973, his uniquely shaped paintings originate from studied observations of wide-ranging source materials such as Buddha statues, Polynesian ancestor figures, Aztec pottery, Egyptian sculptures, and Chinese paintings. He uses small traces of these objects to create autonomous works lacking any obvious references to their origins. Ignoring historical and geographical differences, Jochims’s approach assimilates the resulting forms into innovative abstract statements.